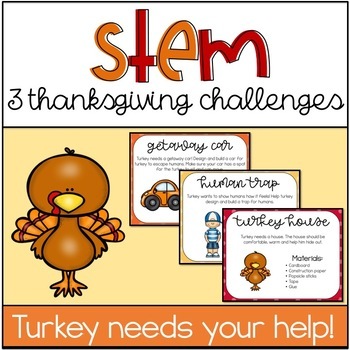 These Turkey Thanksgiving Stem Challenges are perfect for your holiday Makerspace Lab, STEM centers or classroom party! There are 3 challenges included. These challenges will give your students the opportunity to collaborate, problem solve and use their creativity.